Apple Poll: What Do You Want to See at WWDC? Apple's Worldwide Developers' Conference kicks off next week. Which rumored announcement do you most want to see? 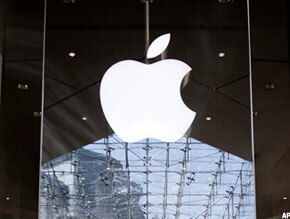 CUPERTINO, Calif. ( TheStreet) - The rumor mill is running full tilt ahead of Apple's ( AAPL - Get Report) Worldwide Developers' Conference (WWDC), which kicks off in San Francisco next week. The tech giant is said to be planning a MacBook refresh for its annual developer event. The next version of Apple's operating system, iOS 6, could also debut at WWDC, according to media reports. New features are rumored to include a new map app, Facebook ( FB integration, Siri for iPad and automatic app updates. Apple's Worldwide Developers' Conference kicks off next week. Apple has promised a big focus on software at WWDC, which will take place at San Francisco's Moscone Center from June 10-15. The Cupertino, Calif.-based firm used last year's WWDC to unveil its iCloud, and launched the iPhone 4 at the 2010 event. Apple zealots, however, will be eager to hear any snippets of information about the much-anticipated iPhone 5, which is expected to appear later this year, as well AS hints about the company's rumored Apple TV. What are you most looking out for at WWDC next week?